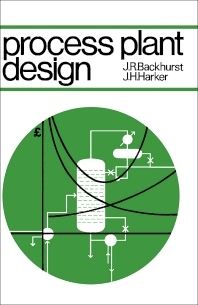 Process Plant Design provides an introduction to the basic principles of plant design and shows how the fundamentals of design can be blended with commercial aspects to produce a final specification; how textbook parameters can be applied to the solution of real problems; and how training in chemical engineering can best be utilized in the industrial sphere. It has been assumed that the reader knows how to calculate a heat transfer coefficient and the height of an absorber, for example, and the bulk of the book is concerned with the translation of such parameters into plant items which are ultimately linked into the production unit. The book follows a fairly logical sequence in which flowsheets, heat and mass balances, for example, are considered before attention is paid to the design of plant items, exchangers, columns, and so on. Because of the vital role of economics in any design function, costing is dealt with early in the book and the principles further developed as appropriate. Rarely is the plant designer concerned with the design of smaller and standard items of equipment, and hence considerable emphasis is placed on the selection of such items. This section may prove of particular value to the engineer in industry, especially if he has not the backing of comprehensive technical manuals produced by the larger companies. Finally, an attempt is made to draw together the many facets of equipment design into one specification for the complete plant, and the many aspects relating to the completed unit are introduced in a final section.